When Sara Nealy became executive director of Festival Opera in 2011, she faced a decidedly uphill battle. Based in the suburban East Bay community of Walnut Creek, CA, the decades-old company suffered from declining attendance, recent regime changes, and a large deficit that had been building for years. Nealy, who was still overseeing her final productions at the nearby Livermore Valley Opera, threw herself into the challenge. She immediately scaled back the company’s large, grand-opera productions and focused on reversing its slide into debt. She produced a "Make Our Garden Grow" concert in which over 30 artists, several conductors, chorus, and orchestra, all donated their services. She presented a chamber opera titled About Face—an Opera Experience, and revived the company’s popular "Opera in the Park" concert. Her bold leadership and years of experience as a consultant in the for-profit world kept the company afloat. At the same time, Nealy began re-envisioning the company’s future. 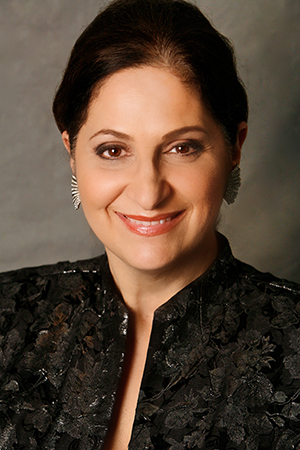 In 2013, she joined with another regional company, West Bay Opera, to co-produce Verdi’s Otello. The production had separate runs in Walnut Creek and Palo Alto, and was well-received by critics and audiences alike. Nealy’s greatest strategy, however, has been to re-focus Festival Opera on chamber works. Earlier this year, it offered two chamber operas on Holocaust themes—Another Sunrise, by Jake Heggie and Gene Scheer, and The Emperor of Atlantis by Viktor Ullman. The double bill, which featured respected artists such as soprano Marie Plette and baritone Eugene Brancoveanu, drew capacity audiences. Festival Opera will return to the chamber format next year, with a double bill of Holst’s Savitri and Jack Perla’s River of Light. Nealy has also announced that the company will cautiously return to presenting a mainstage production—a 2015 staging of Richard Strauss’s Ariadne auf Naxos. Could the company have stayed afloat without Nealy’s cogent leadership? Perhaps. But her choices have been smart, resourceful, and essential to Festival Opera’s continued existence—and to the Bay Area’s cultural life.